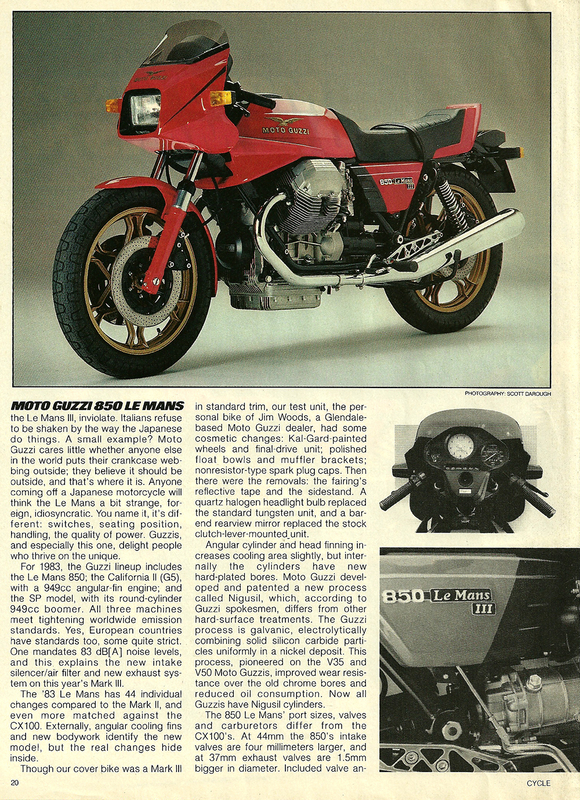 "Six years ago European-style Japanese motorcycles didn't exist. Since then, the CBX came and went, V-twins and V-fours came and stayed. 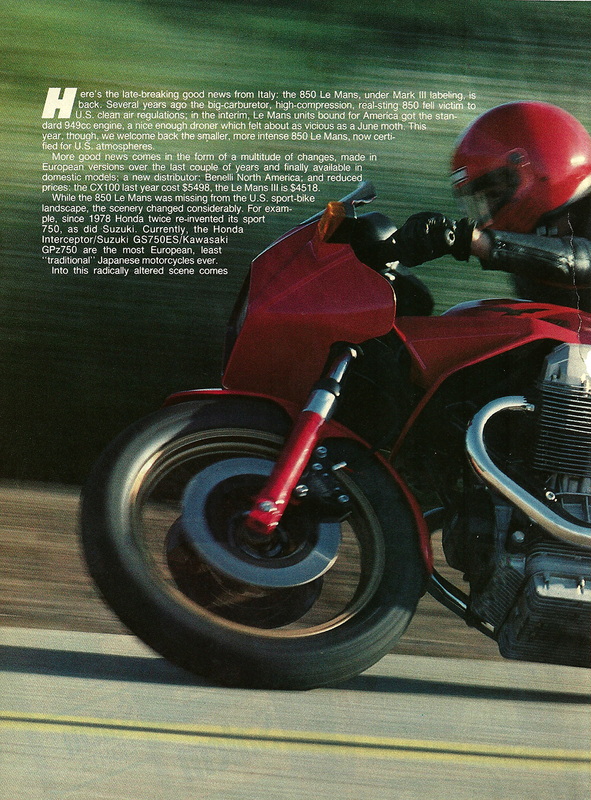 Now the Classic Italian Sport Bike comes from Japan with names like Interceptor and GPz. 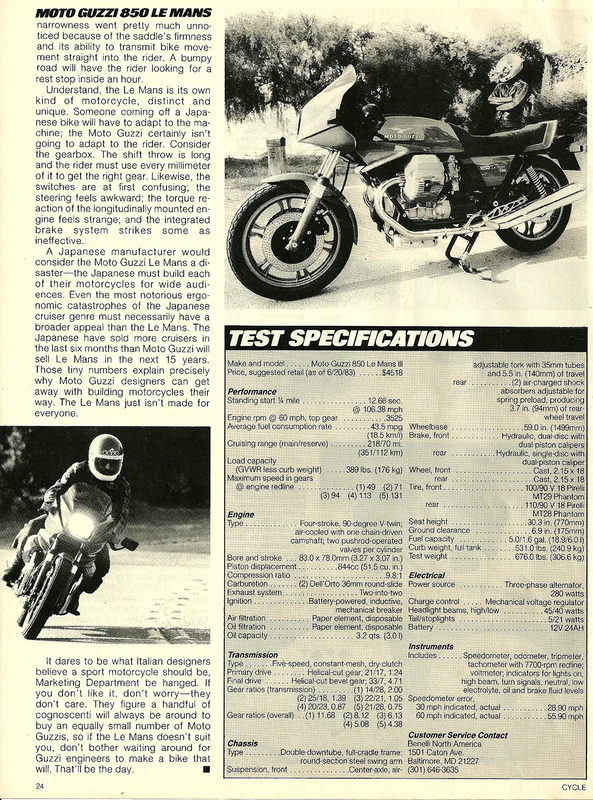 What ever happened to that zesty, thinking-man's flashbike, the Le Mans? Look here: Italy's swoopiest thunderbike is alive and better than ever."